The corporate sector and the political world, despite their joint-hegemony status over the American population, don't often get along with one another; no big surprise, considering the murky cobweb of intersection between business and politics. As an exemplification of this tumultuous relationship, one of the most powerful, left-leaning businessmen in America came out against a Massachusetts senator famed for her impassioned defense of the middle class — in an interview with CNBC on Monday, billionaire Warren Buffett said Elizabeth Warren should be "less angry" in her dealings with financial issues and Wall Street. Well, I think that she would do better if she was less angry and demonized less. I mean, I believe in "hate the sin, love the sinner," and I also believe in praising by name and criticizing by category. And I’m not sure that I’ve totally convinced Elizabeth Warren that that’s the way to go... I think it’s a mistake to get angry with people that disagree with you. I mean, in the end, we do have to work together. But Warren's anger (for lack of a better word) at lackadaisical governmental oversight on Wall Street is, to me, a righteous cause, and an optimist could consider the senator a sincere breath of fresh air amidst the stench that is D.C. politics. The progressive populist lawmaker appeals to large swathes of liberals, many who have taken great pains to persuade her to run for the 2016 election despite her repeated statements that she was not interested. To his credit, Buffett was not going out of his way to single out Warren — the anchor did ask him about the senator in particular. And the billionaire did make a good point that "getting angry" doesn't leave much room for bipartisanship. After all, politics is a complex, cunning game — I mean, have you seen House of Cards? — one that I assume would require a lot of ego-stroking and compromises. On top of that, Buffett has, in recent years, emerged as the singular voice of liberal reason in the industry, not to mention a friend and supporter of the Democratic party. 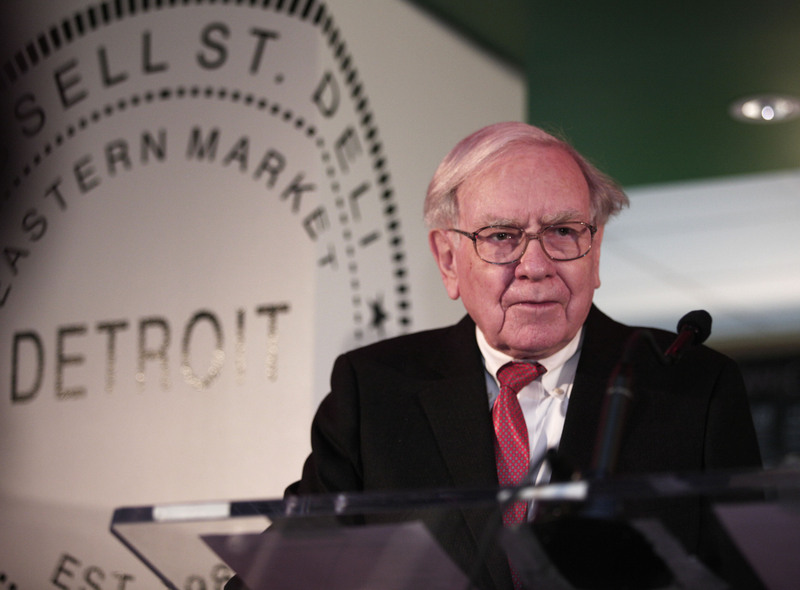 A vocal advocate of raising taxes on the rich, Buffett has also promised to donate 99 percent of his wealth to philanthropic causes. [P]articularly when you’ve got a divided government like we have now... you end up with bills that each side doesn’t like but they like it better than doing nothing. I mean, that’s the way that government has to function. And it does not help when you demonize or get too violent to the people you’re talking to.